From bebop innovator Charlie Parker, Now's the Time is one of his more accessible and popular tunes. 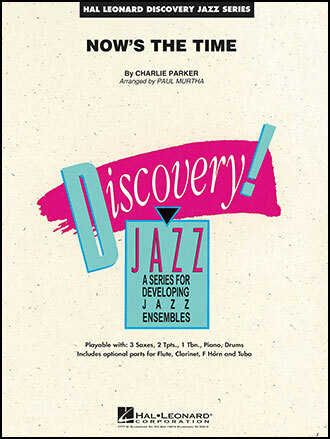 With limited ranges and easy rhythms, this enjoyable arrangement for young players allows you to teach a bit of jazz history in addition to having a great-sounding performance piece. This superior arrangement on bebop classic is also playable with optional reduced or expanded instrumentations. Highly recommended!